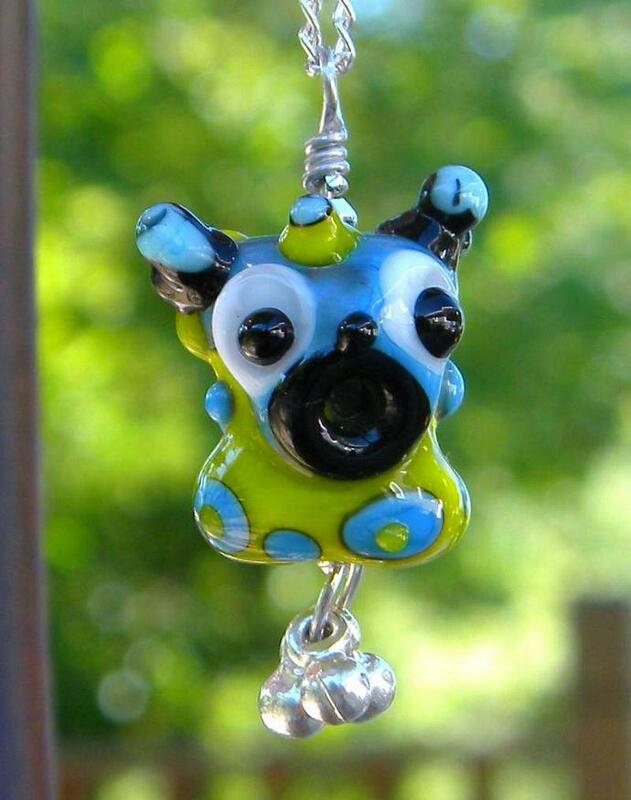 Cute little monster guy to wear wear around your neck. 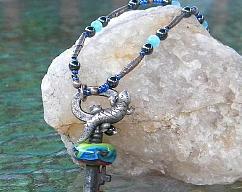 colors are pea green, turquoise, black and white. 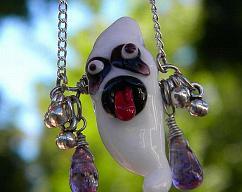 This guy hangs from a 16 inch silver chain with dangles. 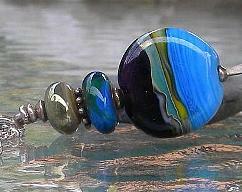 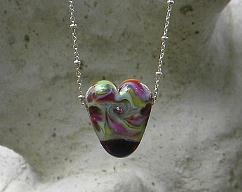 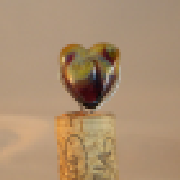 This bead was made by me and my torch and good music and has been annealed in my kiln for strength and durability.